Android Box MXQ Pro 4K comes in a black box with golden letters on it. Tucked inside it are the TV box and accompanying accessories, which are all wrapped in thermopile. The MXQ box itself is black in color with the name of the device written on top in white. It’s made of plastic, but this plastic is not the sort that breaks with one fall. Rather, it is made of quality material, so it can withstand some wear and tear. The box is square in shape and is not exactly sleek or stylish; instead, it’s a bit boring. The black is not glossy but dull. It also has some ports on the back with an antenna. 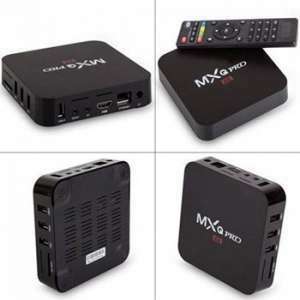 When it is in the package, the product weighs a lot, but when you take out the MXQ TV box, you’d be surprised to notice that it is lightweight. It comes with a sturdy AC power adapter that can be used for other gadgets as well. The remote that comes along is nothing special but gets the job done. It is wide with some rows of color-coded buttons, a D-pad, and a number pad. 1 RCA cable, HDMI cable, and user guide also come along with it. You can notice that the English written on the packaging of the MXQ box and inside the manual is choppy. However, that isn’t a huge concern. The manual has extensive chapters on all the important matters and explains them quite well. The MXQ box features a very capable 2 GHz Quad Core processor. This, combined with the Penta Core Mali-450 GPU, gives it plenty of power for most tasks you throw at it. You will find beefier specs on other units. But, certainly not at this price. The CPU and GPU are fast enough to play up to 4K video. Also, you won’t have any issues running the majority of games on this set-top box. However, the MXQ does not support Bluetooth. Therefore, ensure that you buy a gamepad with a dongle to connect it to this box. What lets the MXQ Pro down at times is the 1GB of RAM. Many streaming boxes today ship with 2 GB to ensure smooth gaming and multitasking. We haven’t run into any apparent slow-downs in our tests. But do keep in mind that you are not getting the latest and greatest specs with this box. This MXQ Pro 4K offers just about enough space for a streaming device. It has 8GB Flash memory, which means you won’t have to worry about running out of storage space when using the MXQ primarily for streaming. You can download as many apps as you like. But, if you are looking to store movies locally, you will run out of space quickly. Since this TV box has a USB port, though, you can store files on an external drive. Hence, with both internal and external storage, you are set for endless hours of entertainment. Additionally, the MXQ Pro 4K also has an external card reader. You can add an SD card of up to 32GB if you still need more storage space. The MXQ box supports both Wi-Fi and Ethernet. The Wifi and Ethernet speeds are sufficient for any type of streaming. This device doesn’t support Bluetooth, which is one of its drawbacks. As long as one wants a streaming device, it’s an excellent buy, but if you are on the lookout for something that can support heavy gaming, then this product might not be the right choice. The operating system installed is Android 5.1 Lollipop. You can download all your favorite Android apps without any problems. Therefore, the MXQ Pro 4K gives you access to all the popular streaming apps from Netflix to YouTube. Also, some add-ons are preinstalled along with Kodi. Kodi is an important feature as almost everyone uses it for streaming these days. However, if you want to get rid of any unnecessary add-ons, you can always opt for resetting the device. Also, you can upgrade to the 6.0 Marshmallow version of Android if you are the kind of person who likes to run the latest Operating System version. This device doesn’t make you wait with consistently slow streaming. There’s no buffering even when streaming content at high resolution. The device is perfectly responsive and doesn’t hang. Even when entertainment is streamed for hours at end, it doesn’t overheat, freeze, or stop functioning altogether. If you are somebody who loves TV boxes for the sake of Kodi, then you are in for a treat with this box. For those who want a TV box specifically for the purpose of streaming content, this one is a perfect choice. 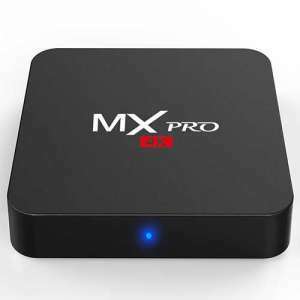 The MXQ Pro 4K runs Kodi smoothly. In fact, Kodi comes preinstalled on the device and is fully optimized. You can fully rely on this box if you want to watch movies and TV shows and can kiss your cable subscription goodbye. The MXQ box runs Kodi like a pro, so if you want a box specifically for this purpose, it is perfect. The image quality that this TV box offers is high end. It supports all sorts of resolutions. 4K and HD videos pose no challenge to it. Crystal clear and smooth picture quality is what makes the MXQ Pro 4K stand out. Additionally, it doesn’t waste time buffering. It offers great quality at a great price. 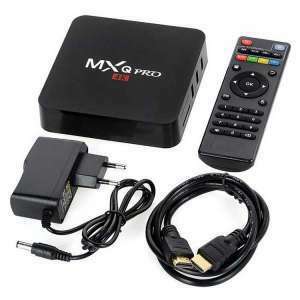 And this makes the MXQ Pro 4k such a popular Android TV box. 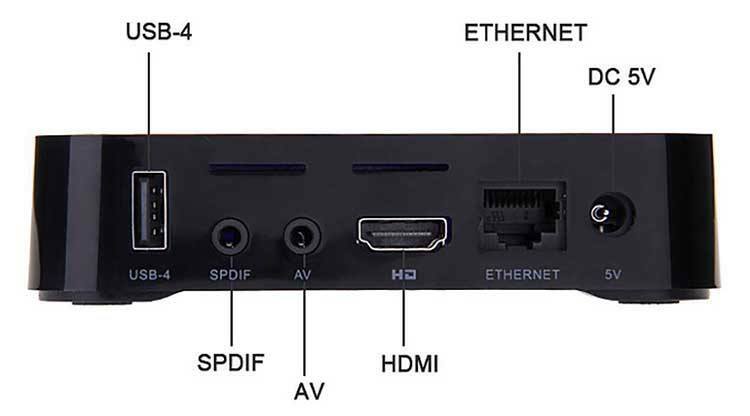 This TV box supports all the popular types of audio and video formats. It supports almost all the common audio formats available from MP2 to MP3 and MP4. Also, you get TrueHD and DTS support to put your surround sound system to the test. Regardless of what video format you throw at it, the MXQ will handle it like a pro. Also, as the device has an HDMI port, it can stream with a clear and crisp picture quality to your TV. Although you can download as many Android applications as you like, this TV box is more for streaming content than for gaming. There’s no Bluetooth availability, which makes gaming a dull experience. As the remote is also cheap, it adds to why gaming isn’t as impressive on this device. However, there are quite many games available on it and you can always attach a keyboard or mouse pad with the USB Type-A port that it has.